Hello Sunday Friends and Happy Easter! It's time for April's new release at Whimsie Doodles. You have to take a look and the new images. They are REALLY REALLY cute! 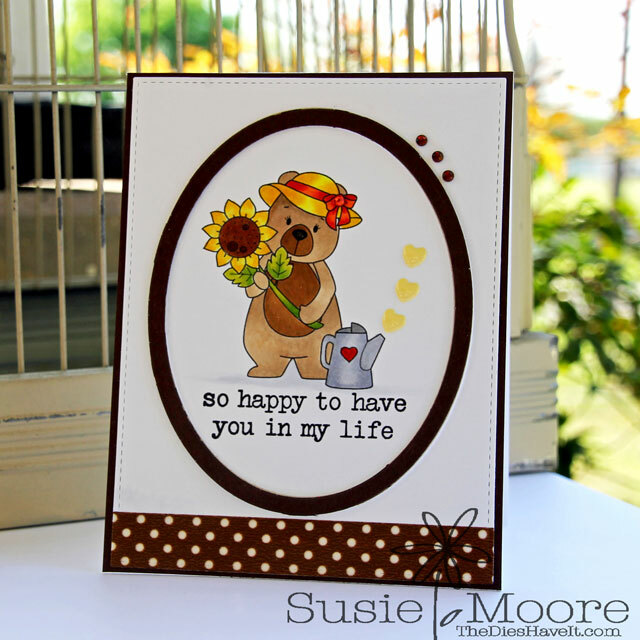 My card for the new release uses Garden Bear which you can find right here. I loved using some pretty yellow on this card. I don't use too much yellow....but that might have to change now!